Knudsen's occupation in 1940 census was "making novelties"
Knud Knudsen came to America in 1906 as a laborer and hired hand and retired in 1958 as the president of a large industrial enterprise. But his heart and soul was in the metal shop as a tinkerer and inventor of consumer wares for enjoying spirits and tobacco. Even as Danbury Electric Manufacturing took off as a supplier of electrical components during the 1930s, he tinkered away with inventions for corkscrews, ashtrays, and bottle stoppers. His 1940 census record identifies his occupation not as a corporate executive but as a novelty-maker in the metal goods industry. 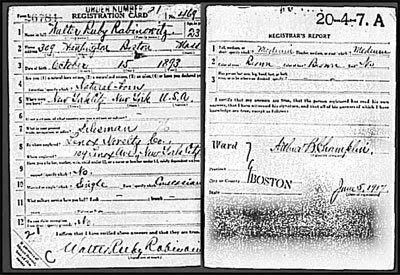 The image is the census record for Knudsen and his wife Christine (her Danish given name was Kirsten) for their address at 5 Osborne Rd. in Danbury, Conn. (highlighted) with an enlargement of the Knudsen information below. This information was collected by a census enumerator on April 10, 1940, a year after Knudsen had acquired rights to the Walter Ruby corkscrew patent. By contrast, his 1930 census record identified him as "General Manager" in "Electric Mfg." Read more about Knudsen's occupation in 1940 census was "making novelties"
To learn more about Knud Knudsen, the inventor who bought the rights to my grandfather's corkscrew jimcrack, I started with the name of the company referenced in Knudsen's patent. In the filing, the patent is assigned to Danbury-Knudsen Inc., a corporation of Connecticut. I quickly found out that the company was the successor to Danbury Electrical Manufacturing Co. and was a major supplier of automotive and industrial electrical components. Knud Knudsen was the founder and president until he sold the business to Amphenol Corp. in 1957. That gave me pause because it seemed unlikely that same man who tinkered with corkscrews would also be a high-flying corporate executive. But as I worked it through, it was the same Knud Knudsen who headed an industrial enterprise who also tinkered around with corkscrews and ashtrays. There is a lot to learn about this interesting man but I will rely on his March 1967 obituary in the Bridgeport Post for the overall narrative. Corkscrews are not mentioned but cigar lighters are. Enjoy.